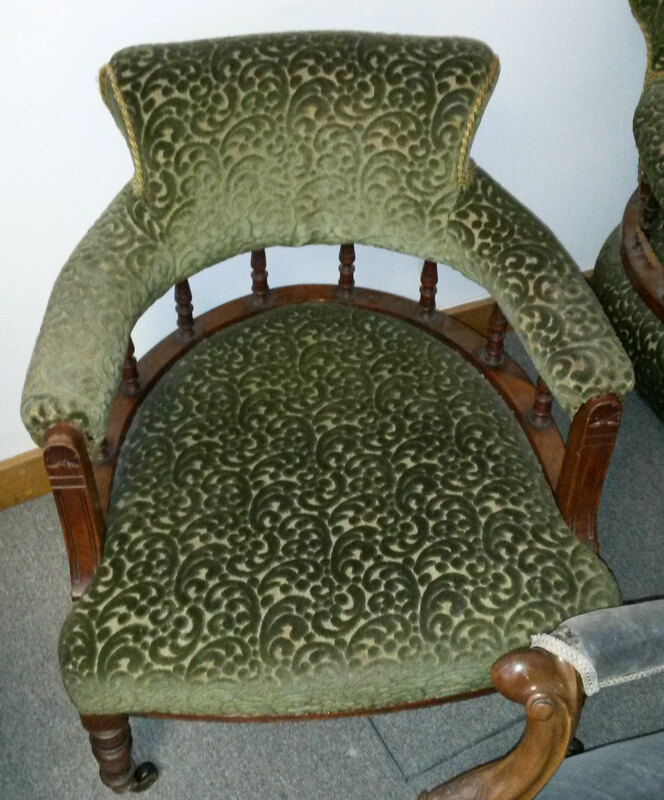 18th C style barrel or fluted back armchair. 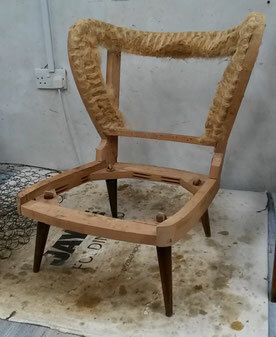 A rather finely proportioned chair which turned out to be a bit of a hybrid when stripped back. 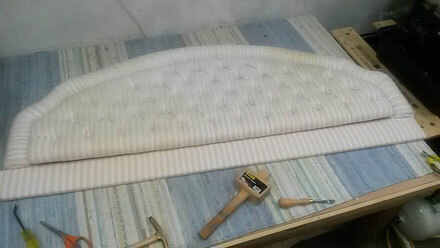 Lots of previous repair work and new rails. 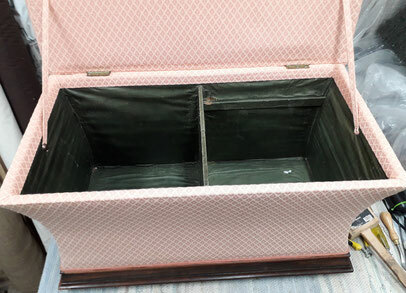 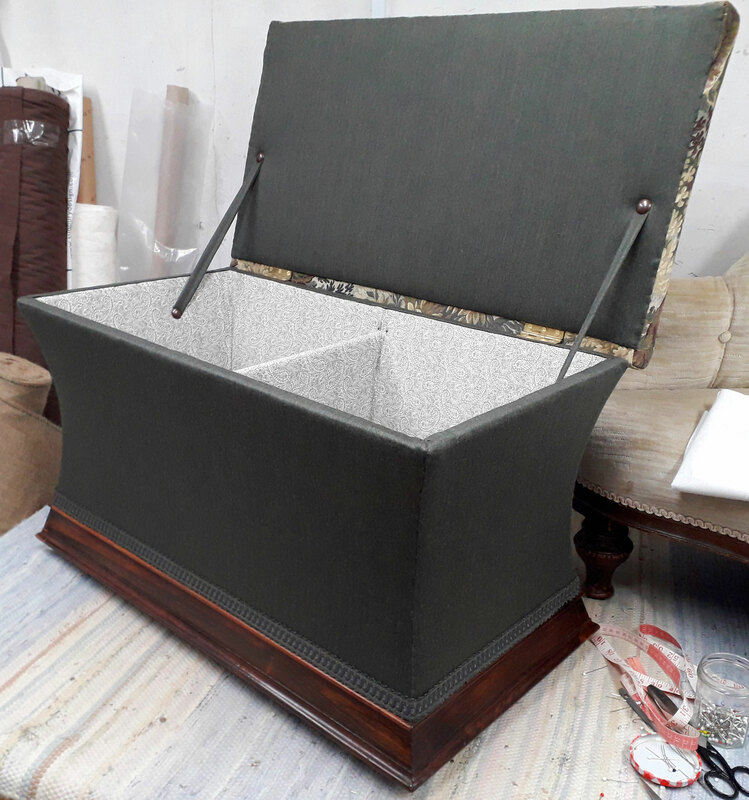 This shaped ottoman with rosewood plinth had it's original lining but more recent external fabric... not really in keeping with the age and elegance of the piece. 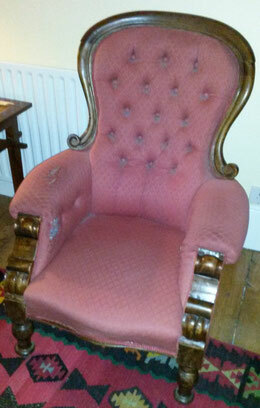 Victorian armchair which had to be stripped to frame before lots of repair work. 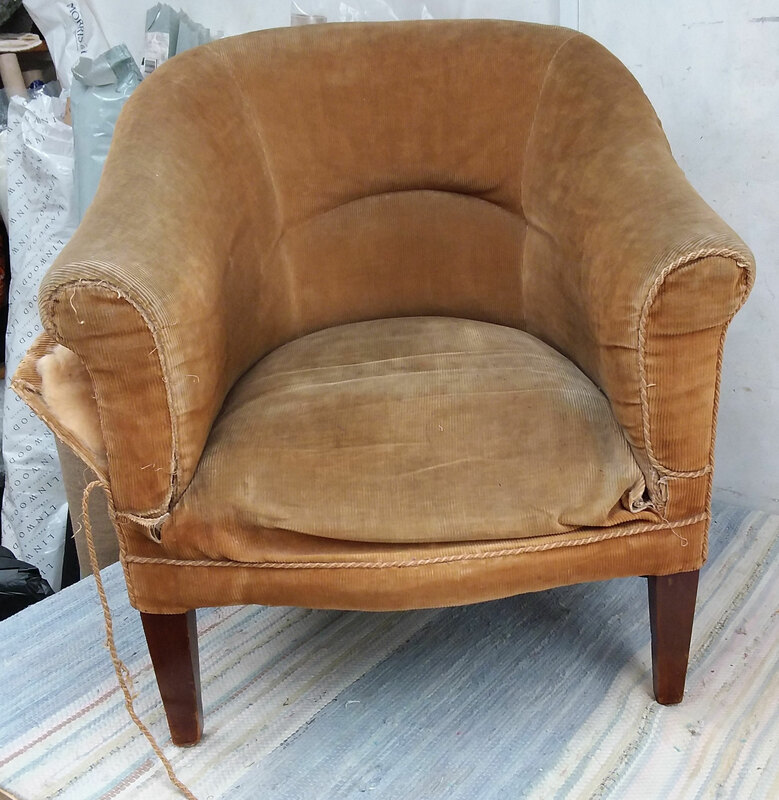 Found a previous upholsterers signature from 1923. 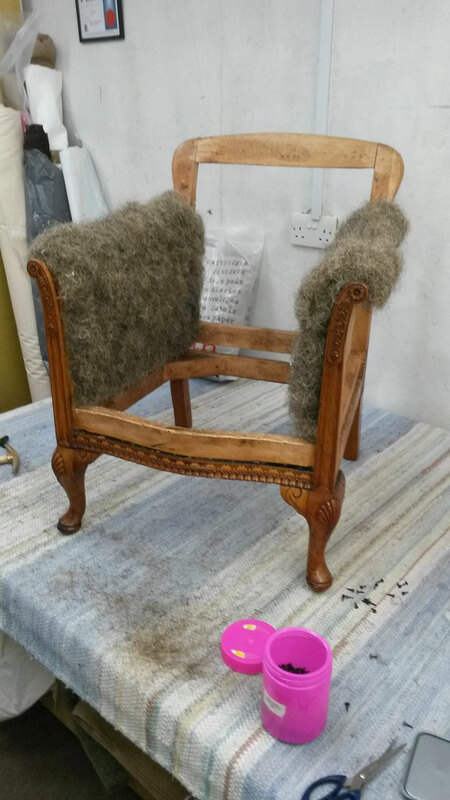 Traditional rebuild with lots of handsewing to coir pads on back arms and seat. A rather fabulous Arts & Crafts oak 'throne'. 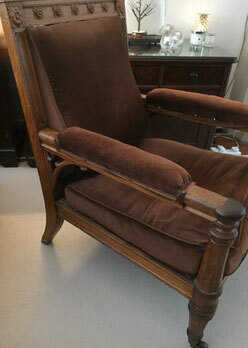 The seat was a platform with removable cushion and the back was held in with screws and pegs. Modern John Lewis wing armchair in it's original dark blue damask. 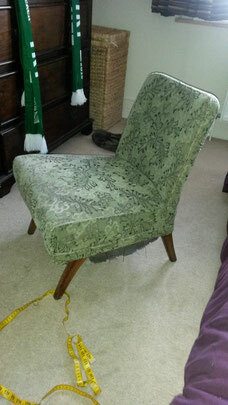 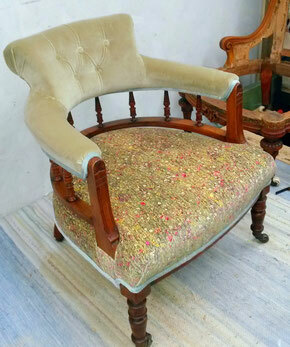 Edwardian tub chair with taped in back - greatly loved and in need of more than a bit of TLC!! 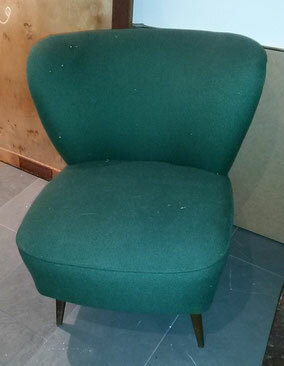 1950's German cocktail Chair - an absolute classic shape but needing a bit of vavavoom! 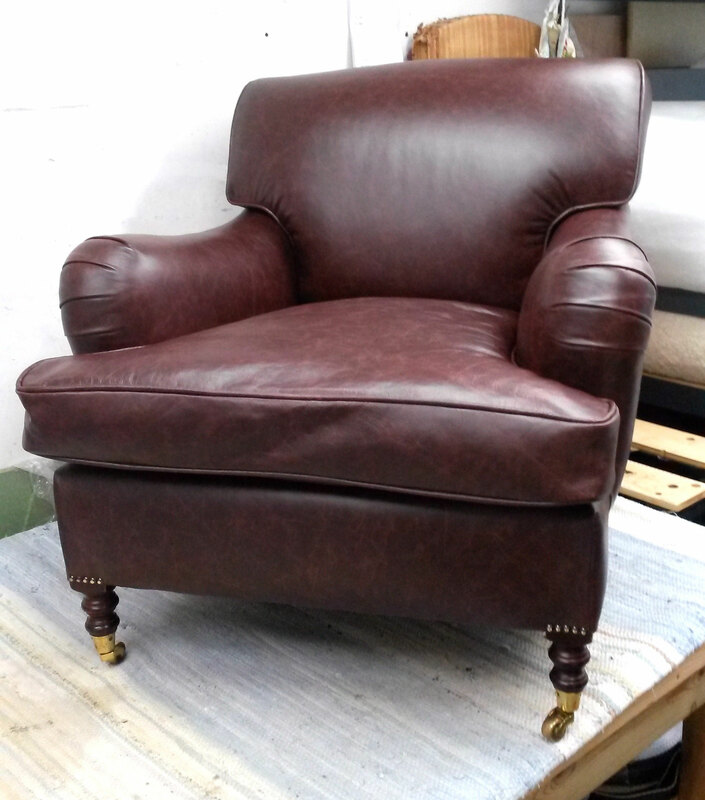 Mahogany Edwardian tub chair on casters. 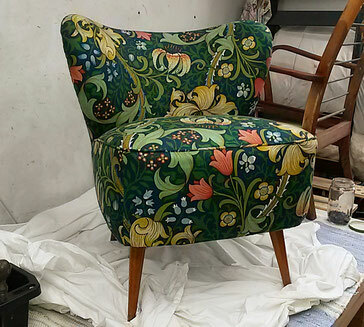 Wonderful George Smith armchair covered in Morris & Co fabric. 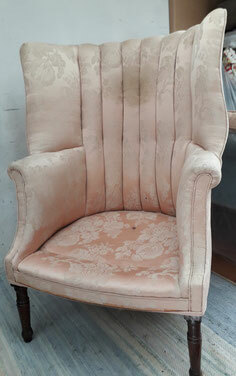 Large Edwardian button back chair. Tired fabric and a little over-stuffed on the arms with a flat seat! 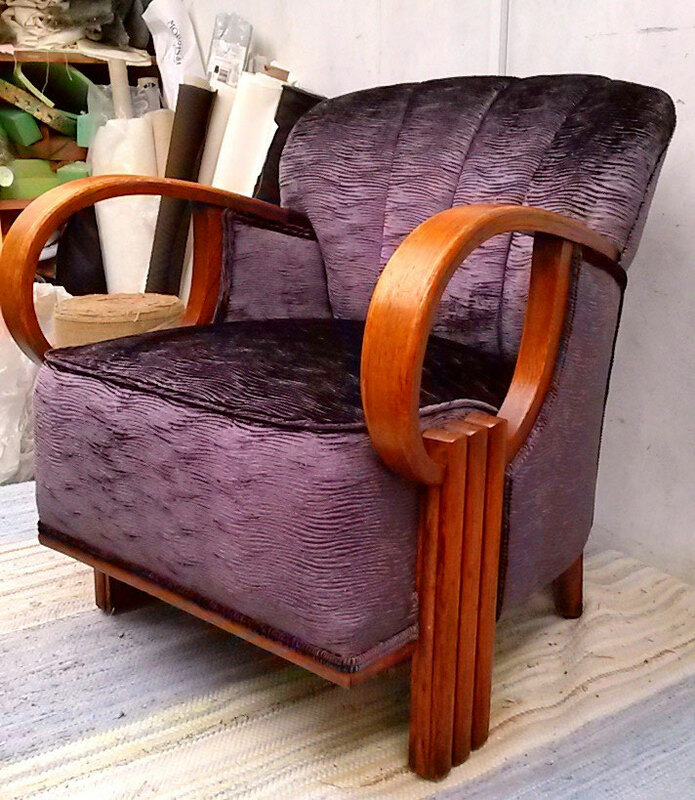 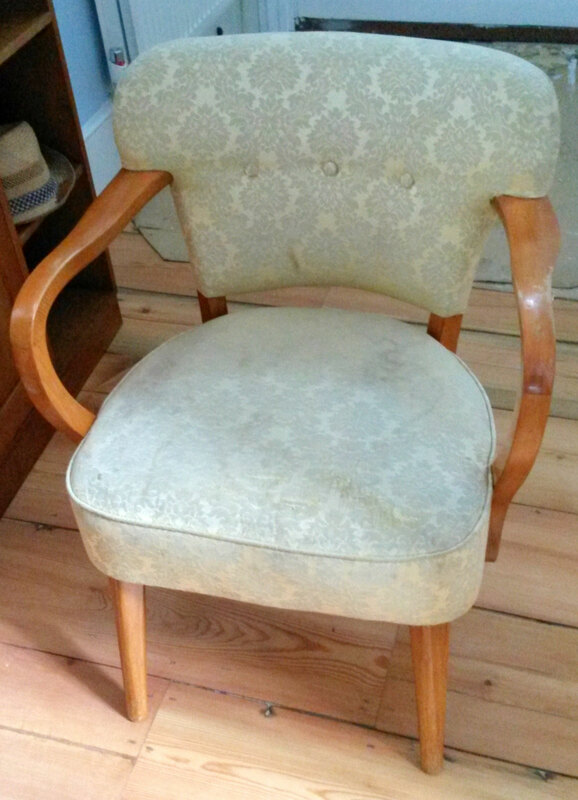 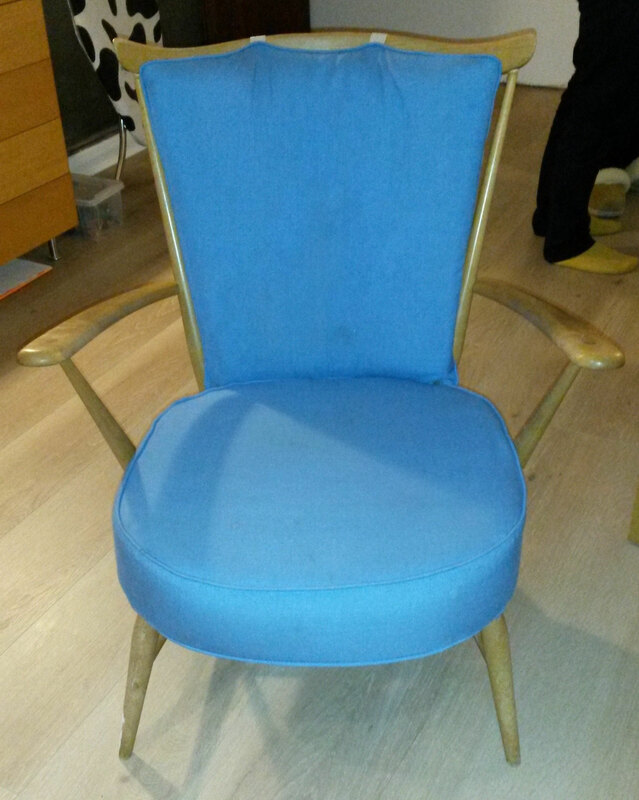 Ercol armchair - Windsor Bow Top - with original cushions and worn chipped varnish. 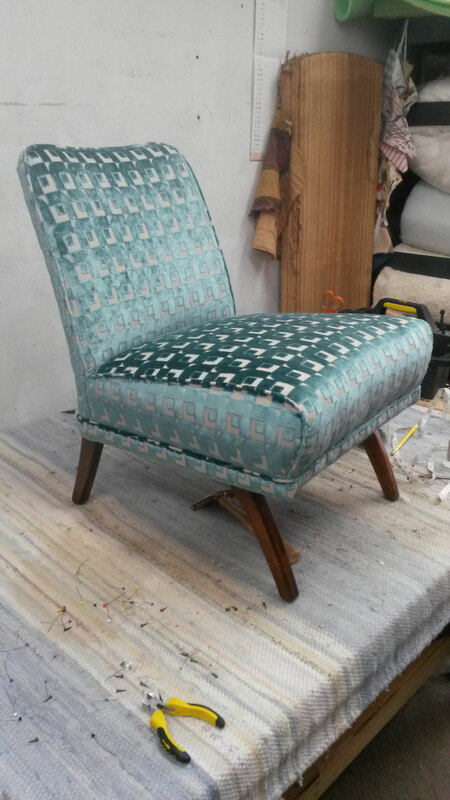 Looking much more elegant.... traditionally reupholstered with new feather cushion. 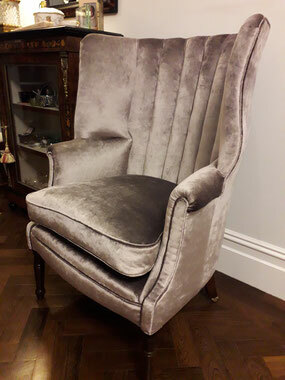 Beautiful Wemyss Ashton velvet in zinc really sets it off. 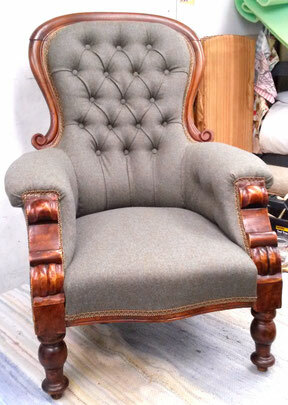 Stripped back and traditionally reupholstered with French tapestry on lid, wool on sides and cotton chinz lining. 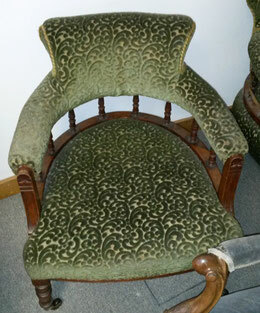 Altogether more handsome and it turned out to be pretty old, early 1800's! Both myself and my customer were very pleased with how this turned out. 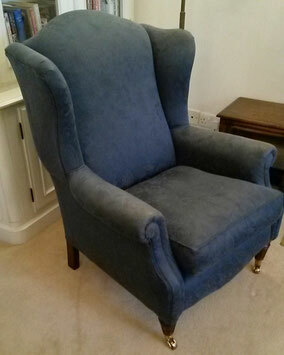 Lovely chair with sumptuous Designers Guild velvet to set it off. 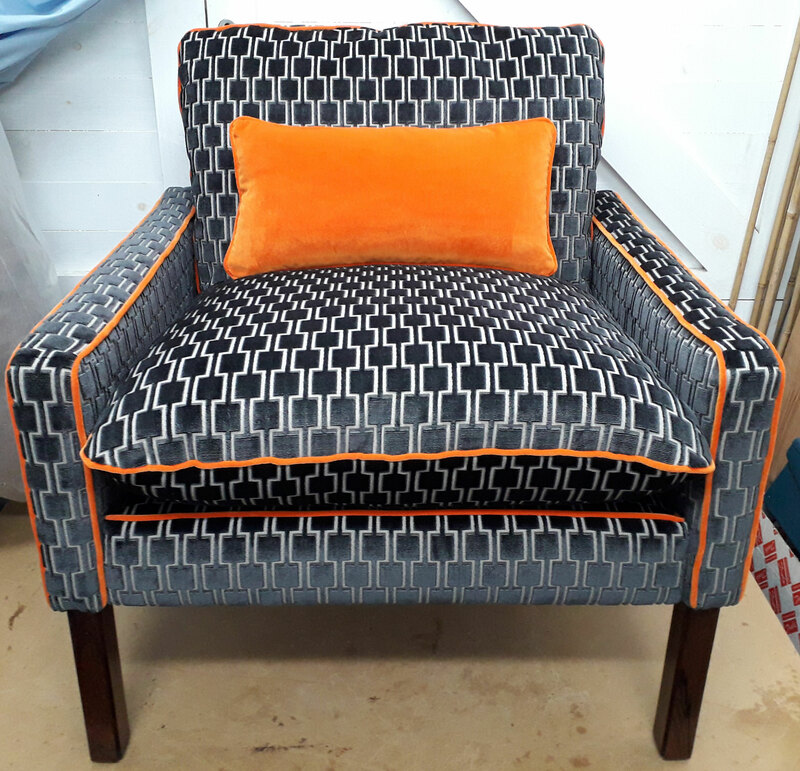 My client came up with a very different look.. fabric is Bakerloo Line underground velvet from Kirkby Design piped in bright orange velvet..
One of my favourite transformations to date! Traditionally reupholstered with lots of handsewing and just look at that amazing velvet from Blackpop.... a truly special creation. 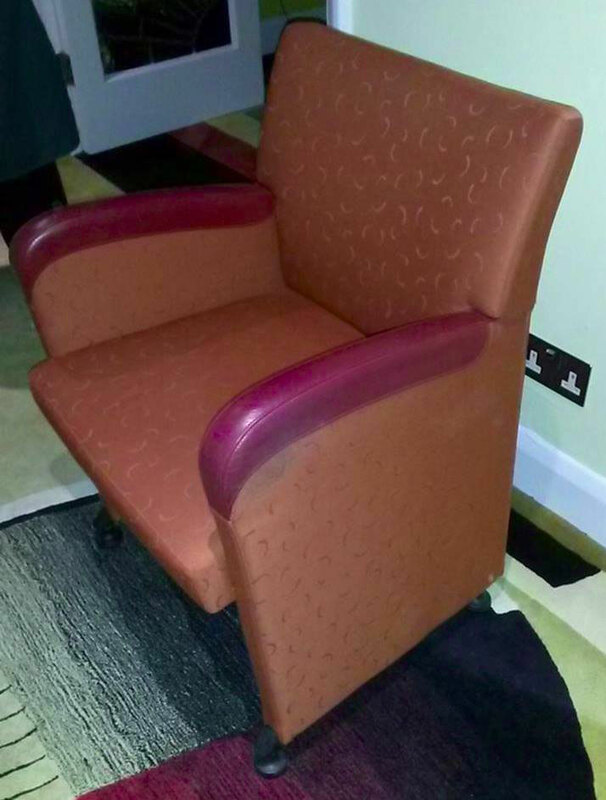 Another great use of the Kirkby Design Underground velvet. 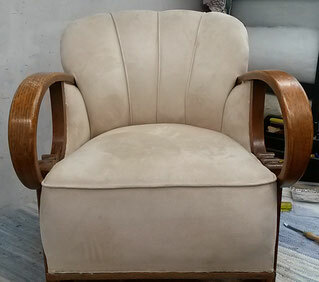 This time with leather topped arms. 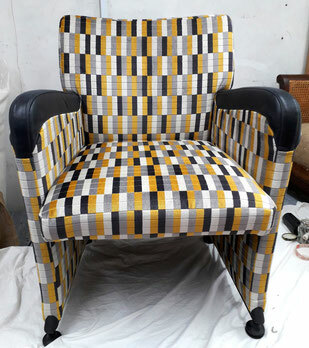 Looks straight off the District Line circa 1970! 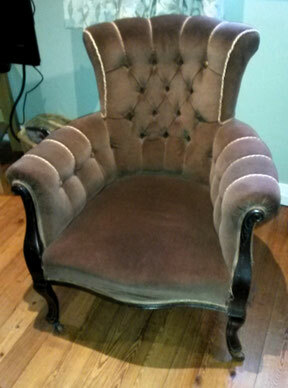 Partially rebuilt and covered in Romo's Linara in Rosa.... minus the cord! 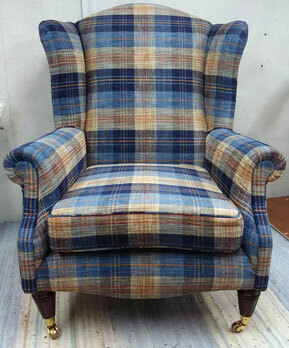 Re-covered in Mulberry Home plaid chenille with new foam cushion. 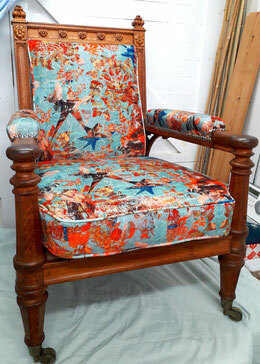 Altogether a smarter but more snuggly chair! Fantastic choice of fabric... Kirkby Design's Underground in District. 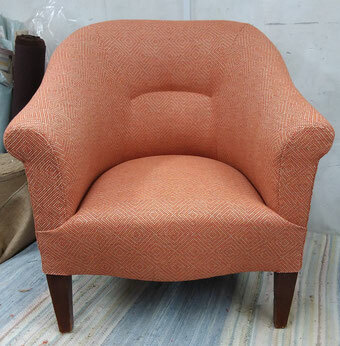 A striking soft velvet moquette based on the actual Underground fabric design from the 1970's. 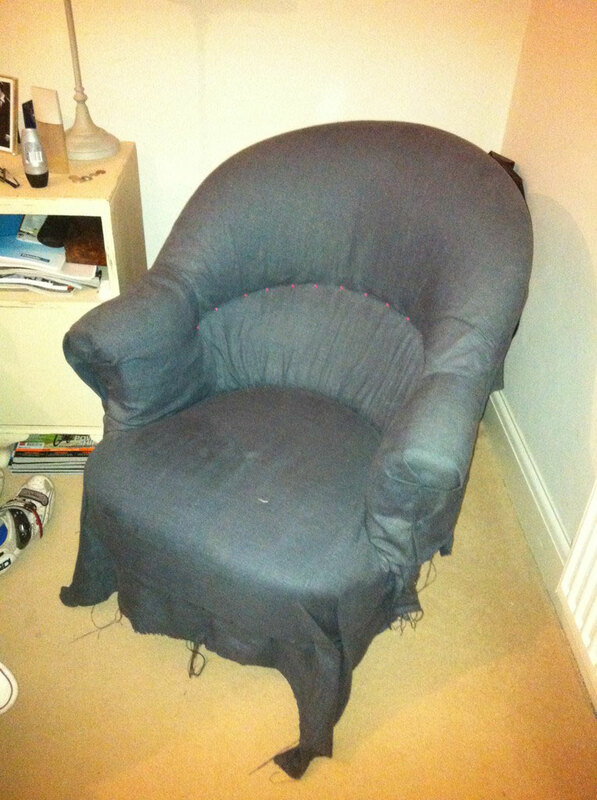 Rebuilt completely with taped back and sprung seat. Re-covered with soft pink damask for that touch of boudoir luxury! Covered in rich purple Harlequin velvet with oak frame revived and glowing again. 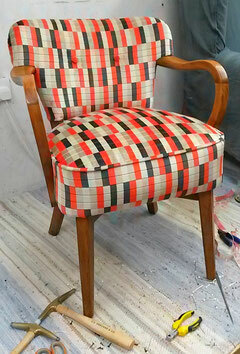 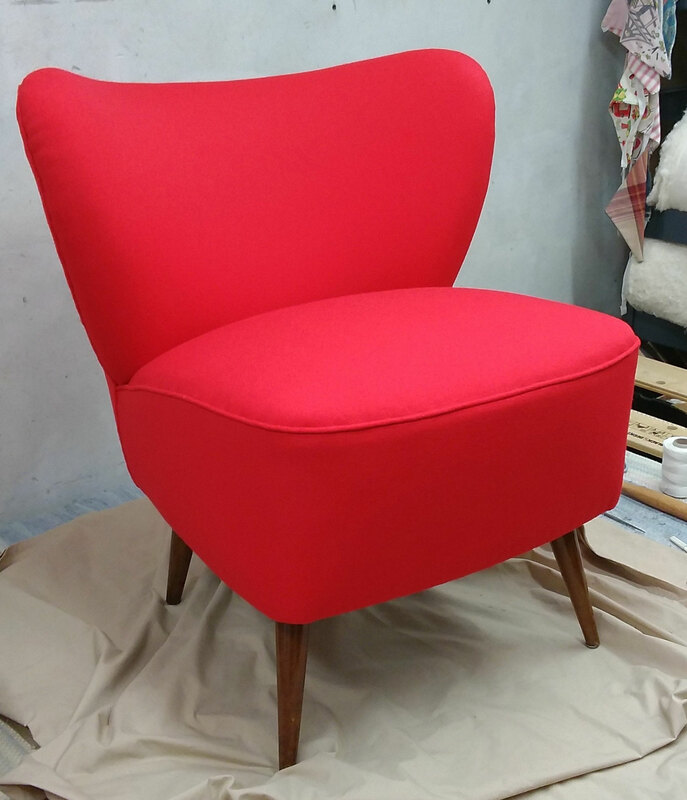 Stripped right back to frame, completely re-upholstered and covered in a much more racy pillar box red BUTE wool fabric. 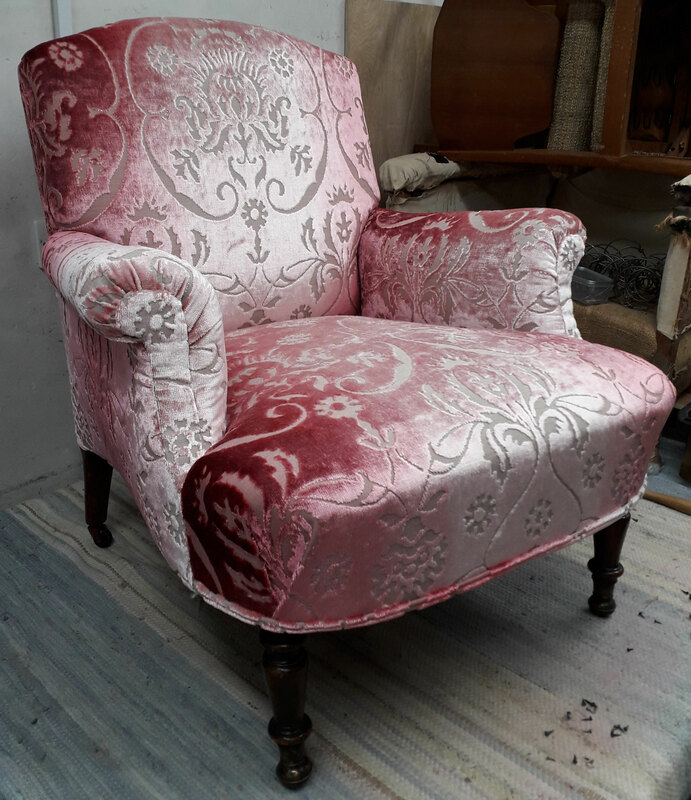 Now covered in a complementary trio of Liberty velvets with some deep buttoning on the back to give a more graceful, delicate but still traditional look. Padding evened out all over giving better proportions. 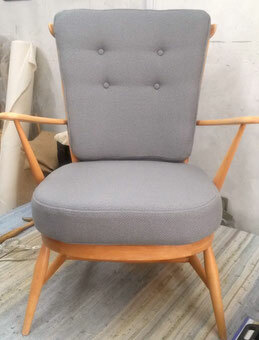 Covered in a smart grey/green felt wool by Moon. 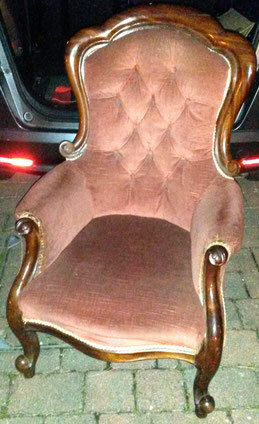 A very elegant gentlemanly chair...! Looking sleeker and more contemporary in BUTE fabrics 'Melrose' textured grey wool with 4 buttons to hold the shape of the back negating need for tabs. 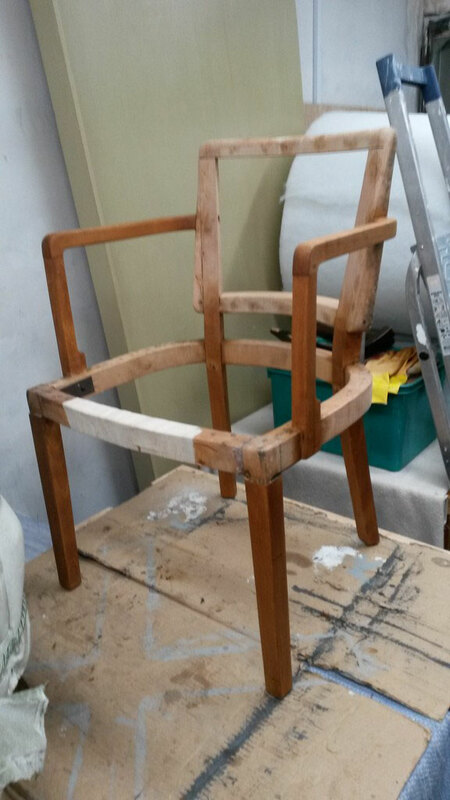 Frame stripped, sanded and oiled with white tinted wax oil. 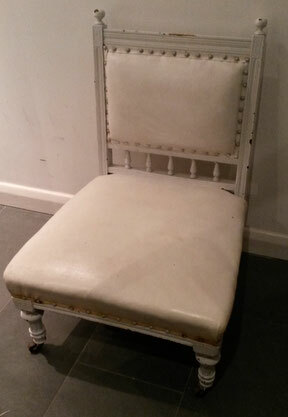 Painted with 'Old White' chalk paint and waxed. 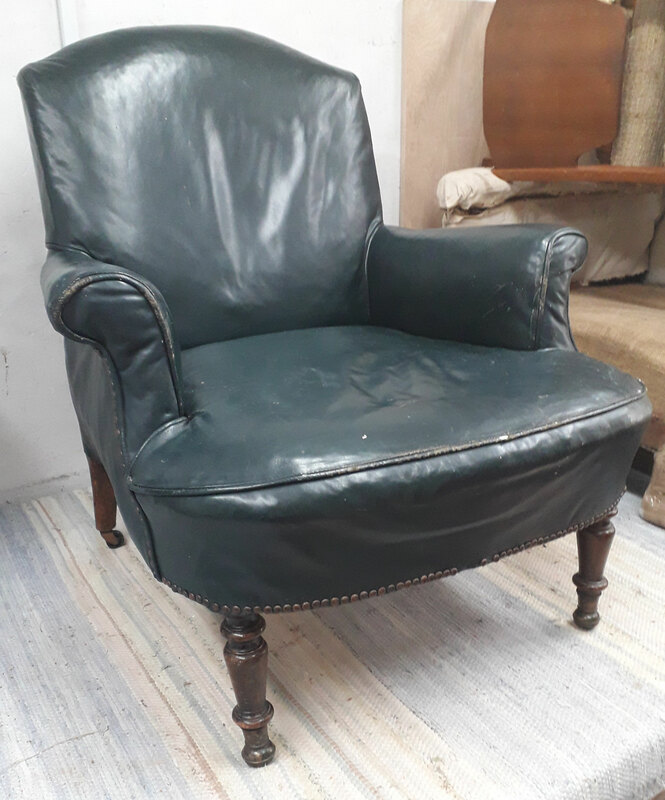 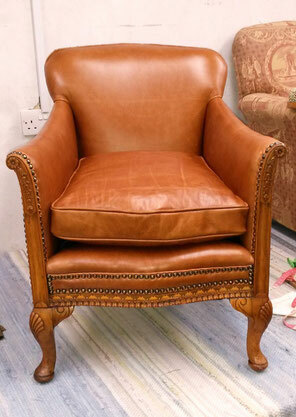 Small Edwardian leather armchair. Frame has been stripped with rebuild commencing inside arms with layer of animal hair. Mid-century bridge chair frame, stripped, sanded and stained to oak finish then oiled. 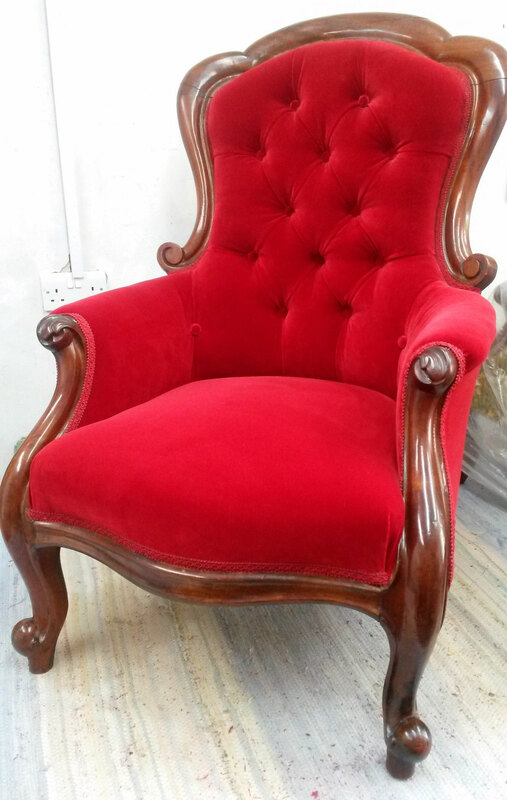 Late Victorian button back armchair. 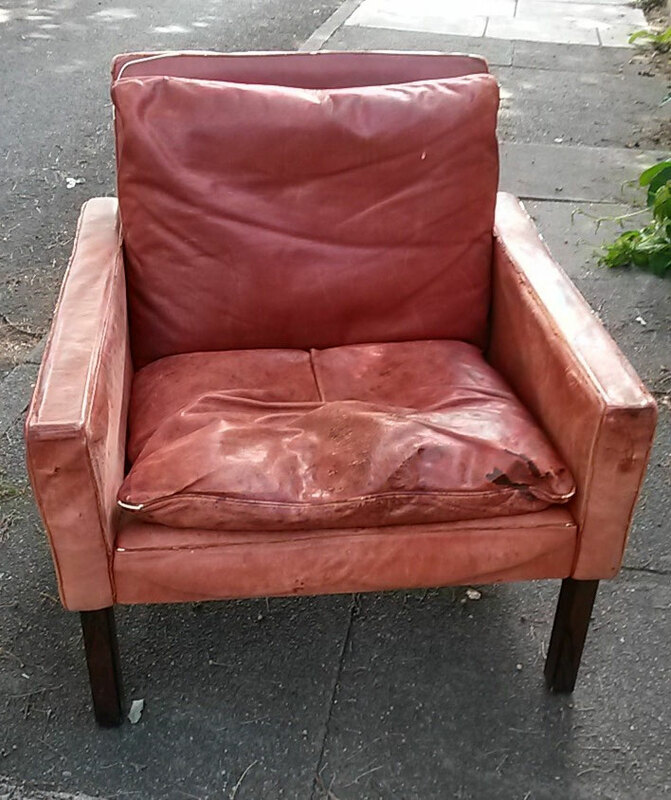 Tired with an air of faded elegance. 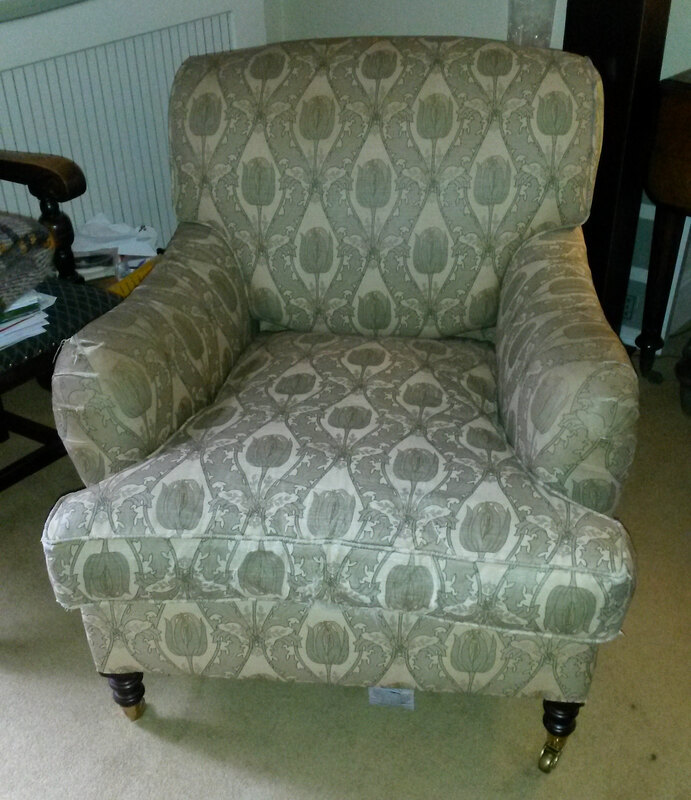 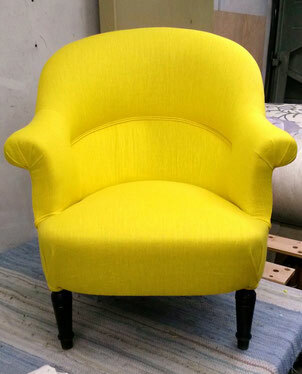 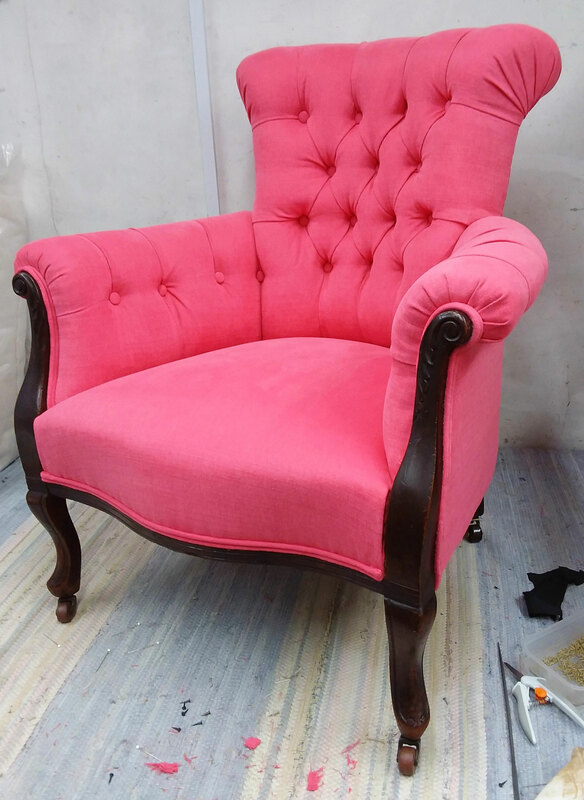 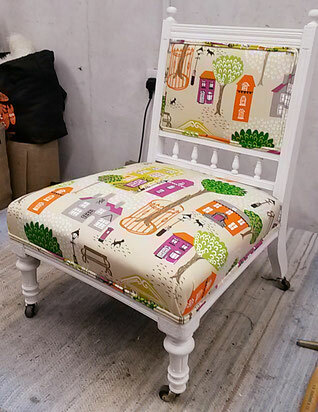 Armchair traditionally upholstered. Covered in tan hide and trimmed with antique bronze upholstery nails. 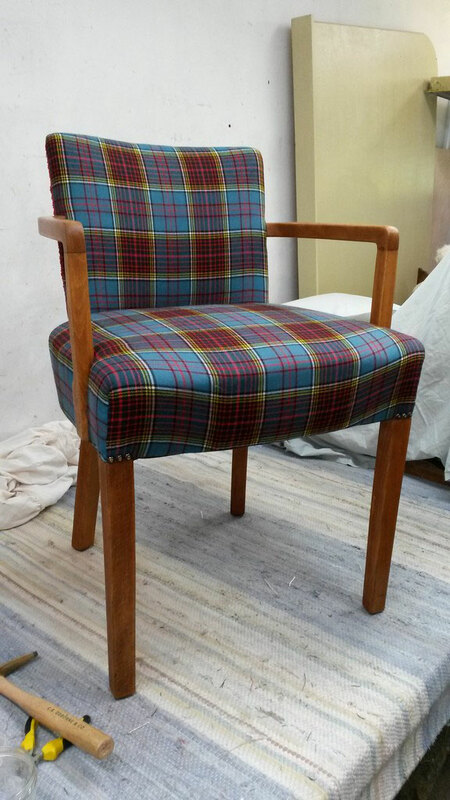 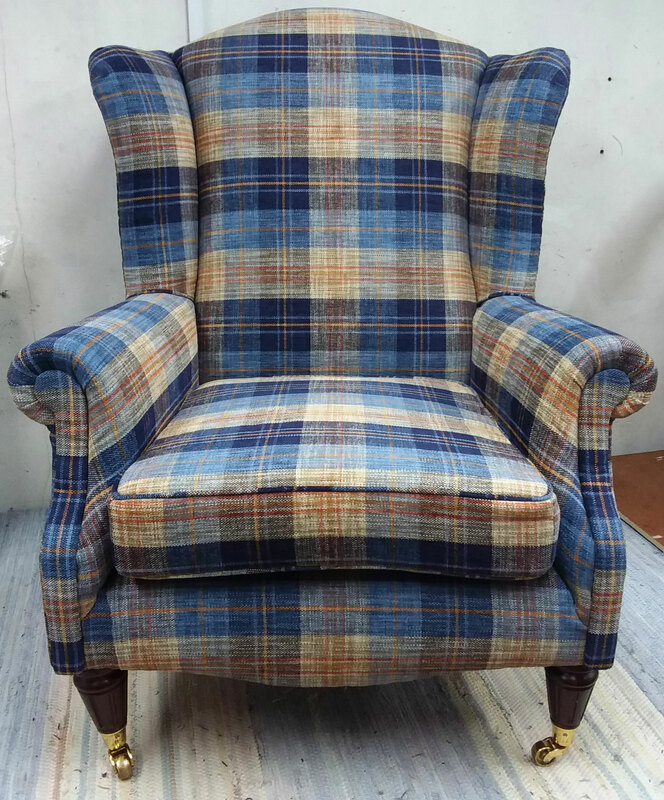 Traditionally upholstered with sprung seat and covered in blue & red tartan trimmed with upholstery nails over the front legs. Just a little brighter than before.... adding a ray of sunshine! Now re-covered in Designer Guild figured velvet in geometric deco pattern... much more funky!